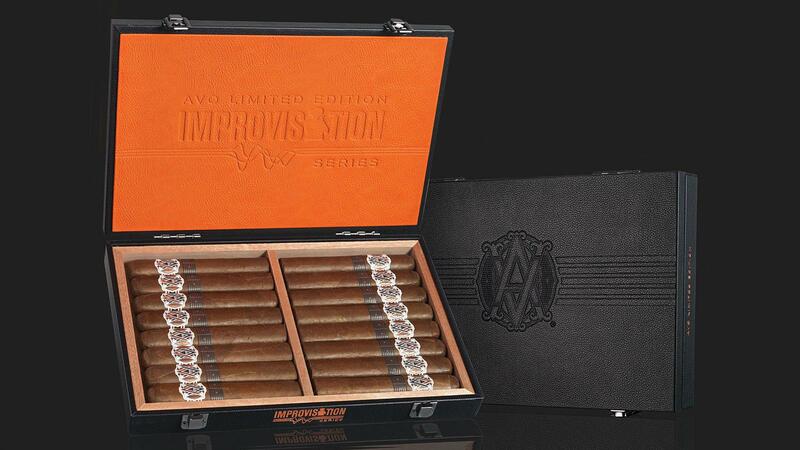 A new Avo cigar is set to take center stage later this month called Avo Improvisation LE17. The musically themed smoke is the fifth installment in the Avo Improvisation series, a brand which takes the concept of musical improvisation and applies it to cigar blending: Each limited-edition vitola in the line borrows tobacco elements from other Avo cigars, riffing off the established blends to create something new. For this year's release, Improvisation LE17 borrows from a trio of Avo cigars: Avo Syncro Nicaragua, Avo Syncro Nicaragua Fogata and the Avo LE05. LE17 is draped in an Ecuador Habano wrapper and contains the same varietals of Dominican binder and filler tobaccos found in the LE05. Additional Nicaraguan tobacco in the filler is said to be the same type found in the Avo Syncro Nicaragua Fogata. The size of the cigar—a hefty 6 inches by 60 ring gauge—takes inspiration from the Avo Syncro Nicaragua, a line that features a box-pressed vitola in the same format, called Special Toro. The Avo Improvisation LE17 is set to hit U.S. retailers on March 22. The cigar comes packaged in eye-catching, 16-count boxes designed to mimic a leather guitar case, complete with dual silver clasps. The cigar retails for $18 and is rolled at Davidoff's OK Cigar factory in the Dominican Republic. Only 2,000 boxes will ship to the United States. Though LE17 is the fifth installment in the Avo Improvisation series, the cigar is actually part of a much larger Avo limited-edition collection. Every year, from 2001 to 2014, Davidoff had released a limited-edition birthday cigar in honor of musician and brand icon Avo Uvezian. The tradition evolved in 2015, when the first limited-edition Avo Improvisation cigar launched.